The Baguette Stop01553 768776work CafeServes fresh sandwiches, baguettes and jacket potatoes, from light bites to filling meals. 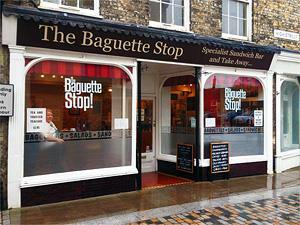 The Baguette Stop has a cosy, intimate atmosphere with friendly staff. Serves fresh sandwiches, baguettes and jacket potatoes, from light bites to filling meals.